Last weekend, we revisited one of our favorite winter indoor destinations – the unique Higgins Armory Museum in Worcester. Worcester steel magnate John Woodman Higgins assembled this one-of-a-kind collection in the early 1900s, and when when his wife kicked the collection out of their house, he erected a stunning steel building to house it! On weekends, the Higgins offers demonstrations on armor, swordplay and other aspects of medieval life and combat. There’s also a great kids’ zone with a giant chess game and dress-up area, and a several authentic pieces of armor that kids can try on. At kids’ birthday parties, the birthday boy or girl gets to be King or Queen in the Great Hall (for members only). Originally recommended by stained glass artist Dan Maher for one of our early Dispatches. About an hour from Boston but street access in Worcester is tricky; take a good map. Phone 508-853-9697. Visit LazerZone for exclusive DayTripper discounts! Forget the ballooning deficit and go hot-air ballooning at WinterFest, which contines weekends through Feb. 15 at a DayTripper favorite, the Fruitlands Museum in Harvard. The museum is closed on weekdays for the season, but if you’re in the area on a Saturday or Sunday, join the Winterfest celebration for ice skating, sledding, cross-country skiing, snowshoeing, bonfires, and more. On Feb. 1 and 15, you can even hitch a (tethered) ride in a hot air balloon (weather permitting). On Jan. 31, watch snowshoeing and cross-country skiing demonstrations, then test techniques on nearby groomed trails. Although the Fruitlands shops are closed, the Harvard General Store Snack Bar stands by to provide the family with hot drinks and snacks. Admission is $5 per vehicle plus a non-perishable food item for the local Loaves & Fishes food bank. Winterfest is sponsored in part by Harvard Parks & Recreation Dept. NOTE TO Dispatches subscribers: For hundreds of discounts on lodging and day trip destinations across the state through March 31, click here and specify “Mass Value Pass” in the message subject. If you aren’t a subscriber, request the pass anyway and we’ll add you to our free and secure “opt-in” Constant Contact mailing list. You’ll be able to unsubscribe with a single click, any time you wish. You too can attend the Superbowl! RSVP now for the Superbowl of Birding this Saturday January 24, sponsored by Audubon’s Drumlin Farm Sanctuary. Prep meeting on Thursday Jan. 22. Get the Dispatches or Buy the Book! FACEBOOK BULLETIN: This just in — The DayTripper Divas plan to centralize the DayTripper Dispatches on Facebook, with frequent updates via Twitter and the blogs. We’re also about to release two new books and a GPS VERSION of the greater Boston edition of The Compleat DayTripper!!!! Tell your friends – Facebook fans and blog followers will get great deals on books, discount day trip destinations, and much more! Be a Diva/Divo! Saddle Up for a Birthday Party! Winter? Schminter! We’re bundling up and heading out next week to celebrate my daughter’s 9th birthday party at Sweet Meadow Farm in Sherborn (where she and her friend Anna blissfully attended camp last summer). 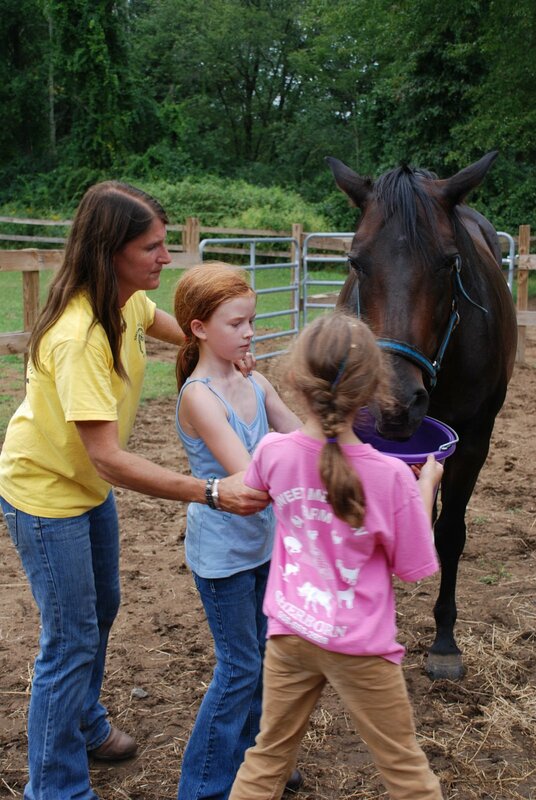 At the farm, owner Patty Michaud starts birthday parties at the barn and kids get to work with ponies, then tack up the horses. Weather permitting, each guest gets to ride and feed the horses. Then everyone heads up to the pet store at the Michauds’ house, where they can observe and handle the guinea pigs, kittens, birds, and other small animals. Finally, guests go upstairs at the farmhouse for a small party which includes a Sweet Meadow gift for the birthday girl. It’s a bit pricey at about $30 per guest, but we are huge fans of Sweet Meadow and the party is a reward for other achievements. (Grownup Alert: Sweet Meadow is also near the Natick Mall if you want to drop off!) When we return to Lillian’s, there will be a movie and “campout” in a tent in the living room. Waffles with strawberries and whipped cream on Saturday morning. Wahoo! The sunlight was perfect at Walden Pond from 2 to 4 pm on on Jan. 4. My son and I found that walking the 1.7-mile pond trail loop was a great time to reconnect and have a free-flowing talk, easy and from the heart. Strangers seemed oddly familiar and wished us “Happy New Year.” The parking is $5 but the machine was broken so we wrote a note that we would leave a donation; the store reopens on January 15.